Our company is the major in offering Product Solution Service to the clients. This service is rendered understanding the exact requirements of the customers. Product Solution Service is supported with the help of our experienced and knowledgeable professionals. Offered service is rendered at various places. 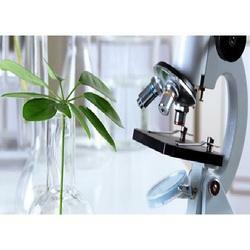 RESEARCH and DEVELOPMENT services include the future researches also with past and present research and development. We are best in providing the information technology solutions like product development services. Zylog Systems Limited (ZSL) has a Research, Analysis & Development wing, namely, "IDEA (Innovative Development of Enterprise Applications) Lab" breeding innovation to meet the growing market demands. IDEA lab (idea-lab.biz) is an abode of research engineers having deep expertise in analyzing market trends, developing new innovations and resolving any type of real time criticalities. In our globally-linked economy, product development capabilities are the basis for successful competition. Successful product development requires fundamentally improved approaches to organizing the development process, reducing cost/time, and providing products to meet customer needs in order to respond to global competition. At Alfalogic, we offer a host of Outsourced Product Development (OPD) services from our offshore development center in India. Our full service offerings cover the entire Product Life Cycle ensuring Intellectual Property Protection with the added advantages of enhanced Speed-to-Market, cost reduction and increased Return on Investment (ROI). The Engineering and R & D services department runs the largest outsourced engineering center outside the other State which is a testimony to the 4 year product engineering experience. The company offers a comprehensive range of R&D and Engineering services to component vendors, across multiple industry segments and domains.